This is the third extract from a wonderful book called “The Talking Machine Industry” written by Ogilvie Mitchell in 1924 covering the Pathe Freres Company. Charles and Emile Pathe originally ran a bistro in Paris. 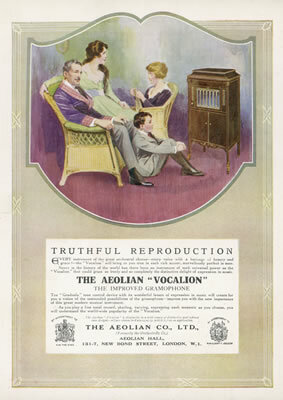 They moved into music retailing, first selling Edison products before beginning to record and sell their own records. They also moved into film making and distribution and expanded both sides of the entertainment business into wider Europe and the USA. 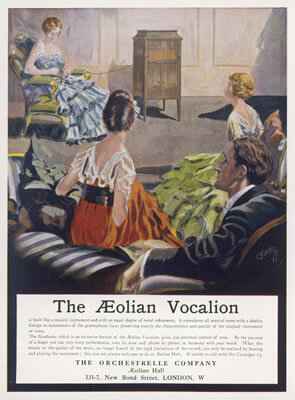 In 1924, when this book was published, Pathe were hitting financial difficulties and, four years later, the French and British Pathé phonograph assets were sold to the British Columbia Graphophone Company which would in turn soon become part of EMI. In July 1929, the assets of the American Pathé record company were merged into the newly formed American Record Corporation. “Pathe Freres, who had been doing a very large continental trade, came into the English market in 1902. By the exercise of a little ingenuity, aided by Mr. J. E. Hough, they had previously circumvented the Edison embargo. No sooner, however, were they free to export their goods from France to England than they began to do an extensive trade with us. The Pathe discs are phono-cut, i.e. they are of the hill and dale variety invented by Edison, and therefore require to be played with a special needle. To this end the firm supplies asound box of its own with a permanent attachment of a ball-pointed sapphire. Quite recently it has brought out a reproducer which by a simple contrivance permits of a steel needle to be used for the lateral cut disc as well. 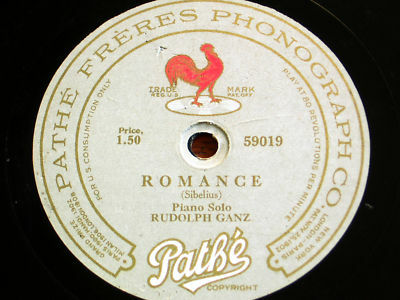 In the early days Pathe records were played from the centre outward to the periphery of the disc, but since the company erected a British factory on this side the Channel they have reversed their old system and the record is now played in the same manner as other discs. Those old discs were splendid fellows, nearly 14 ins. across and embodied the voices of many of the best continental artists. 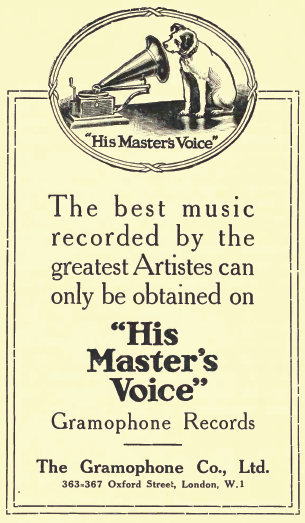 The firm actually prevailed upon Sara Bernhardt to record her incomparable tones, and in the years to come that disc ought to be worth much more than its weight in gold. 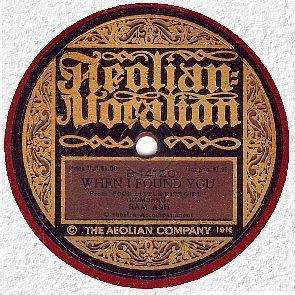 The records are now somewhat reduced in size, conforming more to the width of ordinary makes, but the best of them at the present time are the most expensive on sale in England. 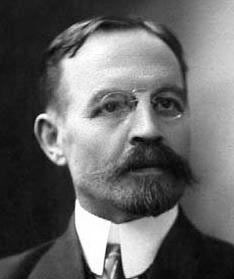 It is worthy of mention that Pathe Freres were the first to introduce the language-teaching record, and it is quite possible that they may revert to this very useful method of instruction now that there is a demand for easy systems of learning foreign tongues. 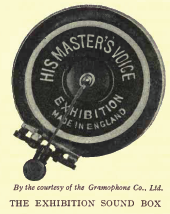 We’ve stumbled across a wonderful book called “The Talking Machine Industry” written by Ogilvie Mitchell in 1924. It is a bit of a hack job to be frank. Mr Mitchell’s style is frothy and he gallops across a range of subjects to do with the history of recorded music at that point (i.e. 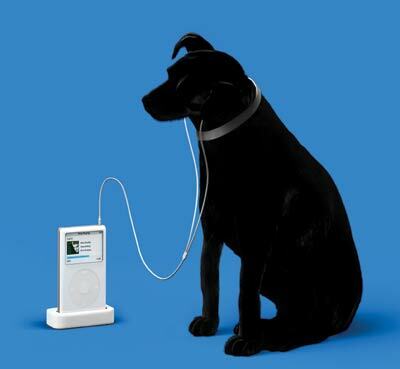 less than 50 years after Edison invents the phonograph). The book is one of a series of books about Common Commodities and Industries and appears to have been partly financed by adverts from the industry in question (and in return features some product placement). Long since out of print, it’s a fascinating read. We particularly enjoyed the review of the four big UK companies of the day and will reproduce a section about each of the big four over the next few days. 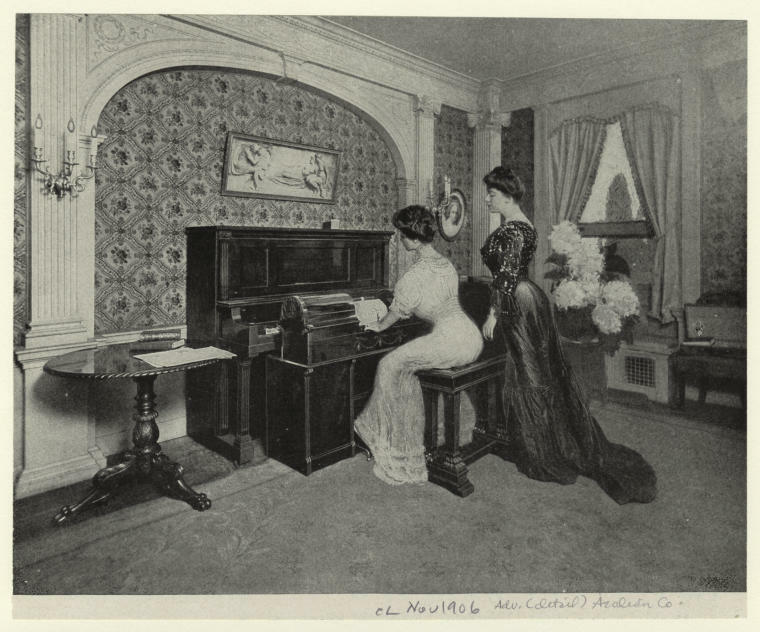 This is the second instalment covering the Columbia Phongraph Company. 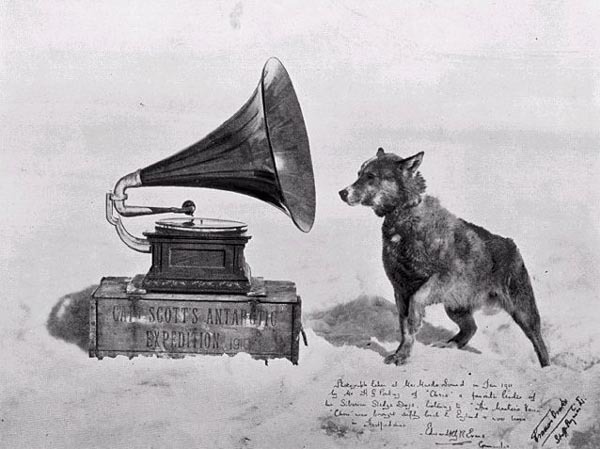 “In 1899 The Columbia Phonograph Company was established in Washington, U.S.A., thus it may be said to be among the very earliest of the concerns to enter the industry, and it has been one of the most successful. As early as 1887, however, the parent company of the Columbia, and literally the pioneers in the industry, had put machines and cylinders on the market under licence from Bell and Tainter. Being unable to carry out some of their contracts, the American Company made arrangements with several others in the various States to act as sales-agents, while the original company limited their efforts to the manufacturing side.The Columbia Company secured one of these sales-agencies, and were restricted by agreement to the three States of Columbia, Delaware and Maryland. This restriction did not last long, however, for the prosperity of the Columbia was such that presently it ousted all the other agencies, extending its business throughout the whole of the United States. Not content with that, it opened branches all over the world and subsequently swallowed up the American Graphophone Company itself. 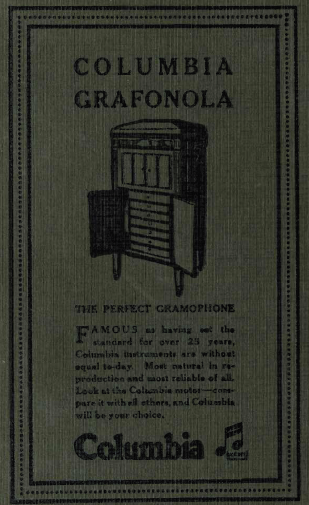 Here it may be noted that, as we fancy we have mentioned before, it was T. H. Macdonald, of the Graphophone Company, who perfected the spring motor. Up till then electricity had been used for the driving power, but with the clockwork mechanism methods were simplified and the cost of machines considerably cheapened. When the Columbia Company removed their chief offices from Washington to New York, Mr. Frank Dorian was placed in charge as general manager. This move occasioned a vast expansion of trade and Mr. Dorian was sent to Paris to superintend the establishment of the European connection . His energy proved invaluable. 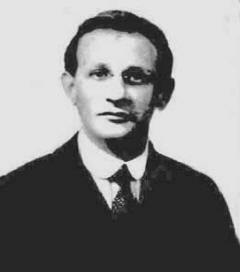 Rapid strides were made in Paris and a branch was soon opened in Berlin. The following year the London business was reorganized and its headquarters formed in a five storey building in Oxford Street This was made the controlling centre for Europe, and Columbia was flourishing like the green bay tree, Later their swiftly developing progress warranted a removal to larger premises in Great Eastern Street, closer to the seat of the British trade which lies in that neighbourhood. At that time, of course, their records were all cylinders, but they were doing admirable work. It was about this time that they contrived to obtain a record of the voice of Pope Leo XIII, a circumstance which we have already noted. It was issued almost on the very day of the venerable Pontiff’s death, and so made a great sensation in Catholic circles. They also secured some valuable cylinders of famous singers of the time, and set a fashion later developed by the discs of the Gramophone Company. 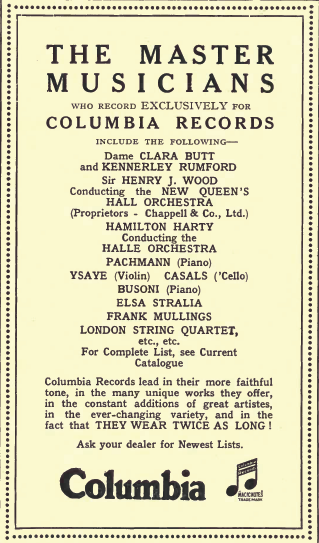 Finding that, in England, the disc was superseding the cylinder, the Columbia built a factory at Wandsworth and started manufacturing lateral cut records. It was an excellent step on their part, for they got hold of some of the best voices and instrumentalists in the kingdom and their productions had a great vogue. 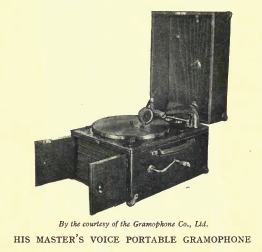 This company has played a conspicuous part in the fortunes of the industry here, doing excellent pioneer work in various directions, and aiming to elevate the public taste in gramophone music. 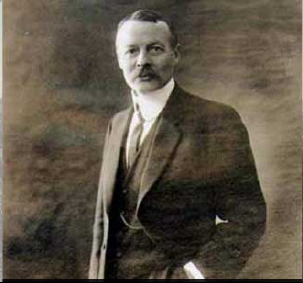 With the advent of Mr. Louis Sterling (above) as European manager of the company fresh life was imparted into the business, and their instruments, the celebrated Grafonolas, have a great sale, while the records find purchasers by the million. 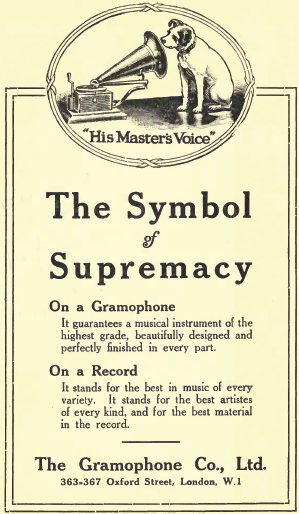 The Regal, a cheaper record, is also issued by them and is much appreciated by gramophone users whose purses are not so well filled as those of the purchasers of the higher grade Columbia.